Today there are 73 million people with diabetes and 80 million with prediabetes in India. Nearly one in five of all patients with diabetes are expected to develop at least one complication of diabetes. Indeed, diabetes has already emerged as one of the leading causes of blindness, kidney failure, amputations and heart attacks in India. Diabetes is thus rightly called the ‘silent killer’. Unfortunately, many people do not even discover they have diabetes until complications set in. This is where proper Diabetes Management becomes very important. In this article, we will deal broadly with a few issues as it is not possible to do justice to the whole topic. Be tailored to the patient’s age and weight, physical activity, family diet pattern, physiological needs and take into consideration the patient’s preference and food habits. Ensure normal growth and development and attainment of ideal body weight. An obese patient should restrict calories through a reduction in the intake of refined carbohydrates and fats. Ensure that food must be eaten not only at the appropriate time but also in appropriate amounts. Include 3-4 servings of vegetables and 1 or 2 helpings of fruits such as oranges, papaya, mosambi, guava or watermelon. Increasing physical activity reduces cardiovascular risk by lowering serum cholesterol and increasing insulin sensitivity. Besides, these exercises have important effects on mental health as it releases the “Happy Hormones” or Endorphins and thus having antidepressant effects and reduce anxiety levels. Individuals who exercise regularly report also improved sense of well-being and self-esteem. Inability to manage our time properly leads to undue stress in our lives. Hence, time and stress management have become an integral component of lifestyle modification measures. Stress management includes time management and regular practice of Pranayama, Yoga and meditation. Drug treatment for diabetes– What is new? 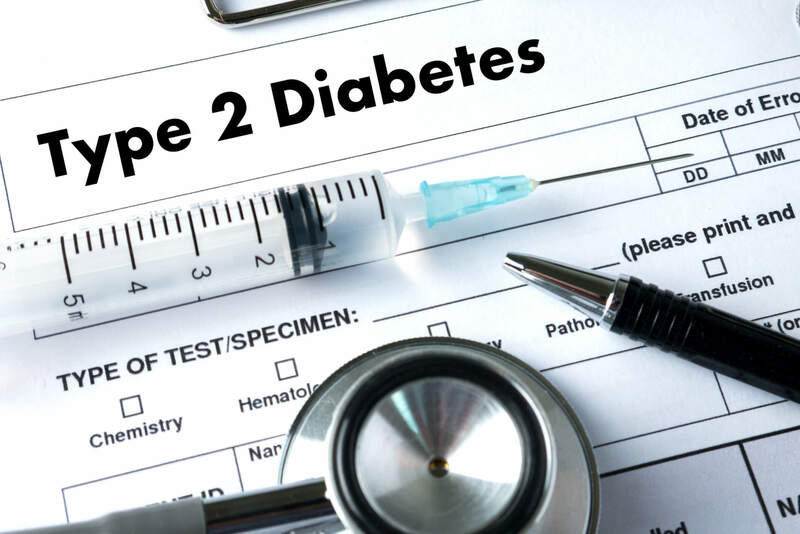 Different classes of anti-diabetic agents currently being used in the treatment of type 2 diabetes include biguanides, sulphonylureas, glitazones and alpha-glucosidase inhibitors. However, these current therapies for diabetic management are frequently associated with inadequate control of hyperglycemia, weight gain and waning of efficacy over time. Today, a better understanding of physiological responses to food has led to the development of new agents like incretins. Incretin-based therapies include two classes of drugs: GLP-1 analogues and DPP-IV inhibitors. These drugs provide a valuable therapeutic option to achieve better glycemic control in diabetic patients through enhancement of gastrointestinal hormone action to increase the amount of insulin released from the beta cells of the pancreas. Recently, a once-weekly GLP 1 Analogues has also been introduced. The latest class of drugs, the SGLT2 inhibitors have additional advantages of weight loss and BP lowering. All patients with type 1 diabetes, and some patients with type 2 diabetes require treatment with insulin to achieve glycaemic goals. A treatment regimen that may mimic physiological insulin secretion would be the best option for these patients. However, subcutaneous insulin treatment is not physiological and multiple daily injections are painful and far from perfect. Consequently, more acceptable, alternative routes of insulin delivery are being developed. Since they were introduced in 1985, insulin pens have gained popularity among diabetic patients worldwide due to their simplicity, ease of use and reliability. They allow for more accurate dosing especially in children and the elderly. However, while insulin pens do reduce, they do not completely eliminate the pain of injections. In the future, we can look forward to insulin pens that can remember the last dose administered and remind the user of the same, the next time. Notwithstanding the tremendous advances made in insulin therapeutics over the past three decades, glycemic control remains suboptimal in the majority of patients on insulin. A major reason for this paradox is that the currently used insulin regimens do not exactly mimic the physiological secretion of insulin from the beta-cells of the pancreas. The insulin pump represents an attempt to provide insulin in a more physiological manner to patients with diabetes, avoiding the peaks and troughs in insulin levels seen with multiple subcutaneous injections. The insulin pump consists of a subcutaneous cannula inserted into the interstitial space (usually of the anterior abdominal wall), a connecting tubing and a small pager-sized, battery operated pump which has the insulin reservoir as well as a microchip that controls insulin delivery according to pre-programmed rates. Self-monitoring of blood glucose (SMBG) involves measuring & monitoring blood glucose levels at home; adjust treatment regimens as needed to achieve near-normal blood glucose levels. Continuous Glucose Monitoring System (CGMS) is a pager-sized electronic system, designed to continuously monitor glucose levels by collecting electric signals from the glucose sensor every ten seconds followed by their conversion into glucose values. An average glucose value is stored every five minutes for up to 72 hour. These values can then be downloaded to a personal computer so that the patient and the physician can both review the data together. In this way, knowledge of continuous glucose levels facilitates physicians to treat diabetic patients better and allows the patients to follow a tailor made treatment programme. The latest entrant in this market, which has markedly helped to understand the patients’ glycemic variability and thus personalize treatment accurately, is called Ambulatory Glucose Monitoring System (AGP). The Ambulatory Glucose Profile (AGP) standardizes clinical terms and key metrics and presents glucose data visually, making it easy to interpret. To produce an AGP report, the software combines all glucose data from several days or weeks into a single 24-hour period. The program then applies mathematical algorithms to help present glycaemic patterns in a more recognizable form. In many developing countries, mobile phone penetrance is high. Transmission of health care messages through short messaging services (SMS) is, therefore, an attractive and potentially effective means of bringing about behavioural change. The potential for regular and repetitive messaging is particularly attractive in cases of chronic diseases like diabetes, where patients need to monitor their lifestyle on a long-term basis. Recent advances in technology have led to the development of mobile applications (apps) that integrate data on exercise (pedometer) and diet in order to provide appropriate lifestyle advice, motivation and encouragement to people with diabetes, as well as to facilitate communication with the health care provider. Well-designed studies are needed to evaluate whether these approaches lead to better outcomes in terms of diabetes control as compared to more conventional approaches. Over the past couple of decades, there have been far-reaching developments in the field of therapeutics, information technology, diagnostics and drug delivery that promise to take control of diabetes and its complications easier and more cost effective. However, it ought to be remembered that any device or technology, is only as good as the person who uses it. The success of these technological advances will rely significantly on the willingness of patients and health care providers to adopt them and to utilize them to the fullest. These are exciting times indeed in the field of diabetes. And the best is yet to come! ← Could This Be The New Cure For Diabetic Foot Ulcers?